One of the main reasons that Israel is able to violate international law and commit crimes against Palestinians is because governments fail to meet their legal obligations to hold it to account and provide Israel with political and material support. Sanctions were the final blow to the apartheid regime in South Africa and the BDS movement calls for sanctions against Israel. The BDS movement also calls for governments to meet their legal obligations not to be complicit in Israeli crimes and not to provide aid or assistance that help Israel maintain its regime of settler colonialism and apartheid. Some governments have responded to public pressure by taking limited forms of sanctions against Israel or steps to ensure they do not contribute to its crimes. Governments across the world continue to treat Israel as a state like any other, rather than a colonial state that persistently violates international law and oppresses the Palestinian people by means of a regime of settler colonialism and apartheid. 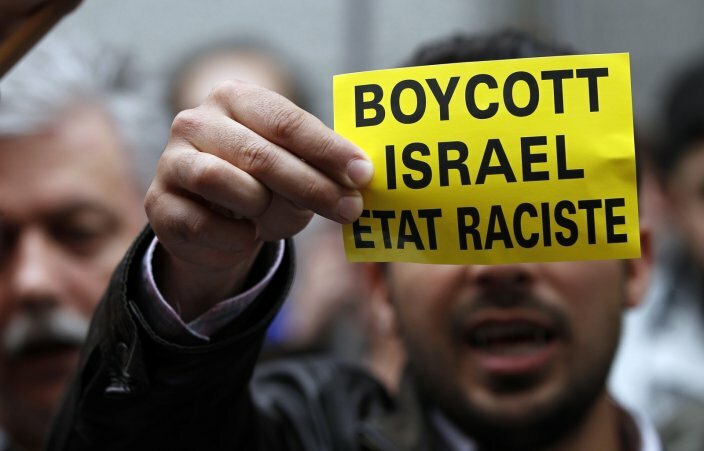 The BDS movement calls for sanctions against Israel, similar to the sanctions that were imposed against apartheid South Africa. These sanctions could include a military embargo, an end to economic links and the cutting of diplomatic ties. In the meantime, the BDS movement is calling for states to take steps to meet their legal obligations not to be complicit in the commission of particular Israeli crimes and not to provide recognition, aid or assistance that help Israel maintain its regime of settler colonialism, apartheid.. This includes, for example, the obligation for states to immediately end to all trade that sustains illegal Israeli settlements in the Occupied Palestinian Territory and the suspension of free trade agreements and other bilateral agreements with Israel. Sanctions are defined in international law as measures of states against another state which contradict the principle of peaceful cooperation and are usually prohibited, unless they serve to ensure respect of “peremptory norms” of international law. Peremptory norms are the most basic, customary and universally binding principles on which the modern international legal order is based. All states have the legal duty (“third state responsibility”) to respect and protect peremptory norms and may apply sanctions against the violating state for this purpose. Israel severely violates many of these peremptory norms, including the right to self-determination of the Palestinian people and the prohibitions of colonialism and apartheid. As part of their third state responsibility, all states are required to: ● Cooperate and adopt measures in order to bring these Israeli violations to an end. States can take action individually, in groups and in the framework of the United Nations and are entitled to adopt sanctions for this purpose. There are at least four areas to which sanctions, in the form of cutting relations, can be applied: military links, including partnerships, agreements and joint operations; economic links, including trade, co-operation agreements and forums, and joint research initiatives; cultural links, including academic cooperation and sports, and diplomatic links, including relations on an official level, participation in international institutions, networks and meetings. Sanctions were the final blow to the apartheid regime in South Africa. Given the dependency of Israel upon global markets, sanctions at a state, regional or international level will be a highly effective measure to bring about real pressure on Israel’s apartheid regime. States are also legally required to adopt measures other than sanctions in order to avoid complicity in the commission of Israeli violations, and in order to bring these violations to an end. All states are to avoid/terminate recognition, aid or assistance that helps maintain the illegal situation of apartheid and colonialism created by these Israeli violations. This includes, for example, non-recognition of Israeli sovereignty anywhere in the OPT and the duty to ban trade with the illegal Israeli settlements. Read more in the relevant section of our apartheid and colonialism resource. Israel is especially reliant on international trade and has free trade agreements and other bilateral agreements with countries and regional blocs across the world. The BDS movement is calling for an end to all economic ties with Israel’s regime of apartheid and settler colonialism. This certainly includes agreements that give Israel preferential access to markets and to economic cooperation that provides direct support to Israeli violations of international law. More than 300 political parties, trade unions and campaign groups have called for the suspension of the EU-Israel Association Agreement, which grants Israel preferential access to the EU market and to EU programs. There is also mounting opposition to the free trade agreement between Israel and the Mercusor bloc of Latin America countries. As part of their duty not to recognise or assist in maintaining Israel’s illegal and criminal regime, governments are legally obliged to ban all trade that helps Israel maintain its illegal settlement activity in the Occupied Palestinian Territory, including East Jerusalem. The EU and several EU countries have responded to growing opposition to such trade by introducing guidelines that retailers should label settlement products in a way that makes their origin clear. Israel is only able to carry out brutal massacres because of willingness of governments and companies around the world to cooperate with Israel’s military and its weapons companies. Over the period 2009-2018, the US is set to provide military aid to Israel worth $30bn and governments and companies across the world export weapons and security services to Israel. Israel’s military industry depends on exports to foreign markets: up to 70% of Israel’s military production is exported. Military assaults on Palestinians are used by Israeli military companies to test and market new weapons. Israeli weapons companies market their weapons as “field-tested”. There’s a growing international campaign to get more governments to impose a military embargo on Israel. Check out our military embargo campaign page. Israel’s membership in or association with various diplomatic and economic forums, such as the United Nations, the EU and OECD, provide an unwarranted veneer of respectability and material support for its colonial regime and crimes carried out against Palestinians . In recent years there has been growing opposition to Israel’s membership in sporting and cultural bodies such as the Eurovision song contest, the international football federation FIFA and the Olympics. 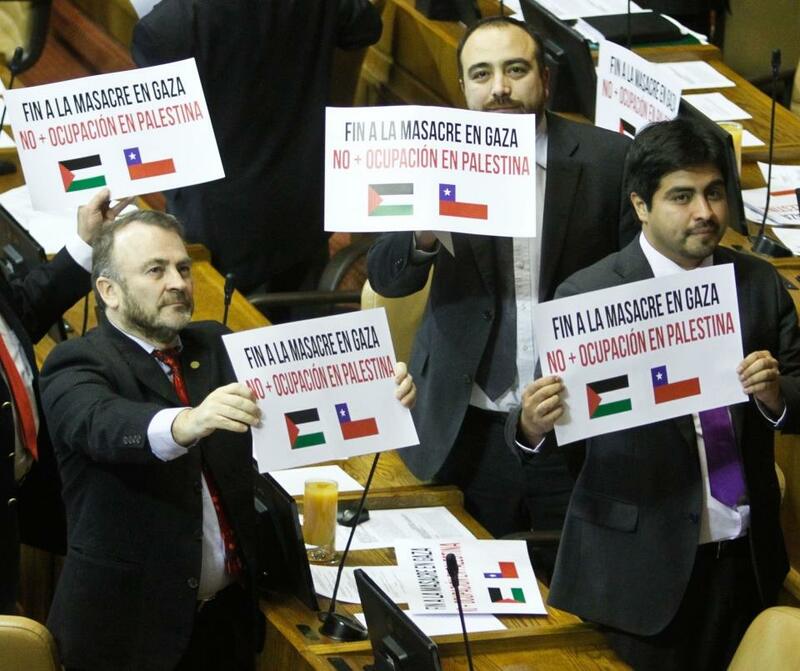 The Chilean government suspended free trade agreement talks with Israel during its 2014 attacks on Gaza following campaigning by MPs and Palestinians in the country. Bolivia and Venezuela withdrew their ambassadors to Israel during the 2008-09 massacre in Gaza. In South Africa, the ruling ANC party has announced a ban on travel to Israel and Palestine by government officials. In 2013, the EU responded to public opinion and grassroots campaigning and acknowledged its obligation to not recognize the Israeli annexation of occupied Palestinian territory and to ensure compliance with this obligation. It implemented guidelines excluding Israeli bodies and activities based in illegal Israeli settlements from participating in EU programs or receiving EU funding. The EU has also banned certain types of products, including poultry, from illegal Isareli settlements from entering the EU market. More than 17 EU countries have issued guidance discouraging businesses from having economic ties with Israeli settlements. The German, Dutch and French governments have all intervened to prevent companies under their jurisdiction from engaging with Israeli projects in the Occupied Palestinian Territory. The Kuwaiti government has announced it has blacklisted 50 companies from receiving public contracts due to their role in the illegal Israeli settlement activity. We need to take action together to press governments to end their support for Israeli settler colonialism and apartheid and to hold Israel accountable for its violations for international law. Share this page to help spread the word.